I loved the work I was doing but I was so exhausted from managing people. I felt like every day there were new conflicts or issues that could only be resolved by me. I was in the process of considering whether to step out of leadership so I could go back to doing what I love or even leave the field forever. 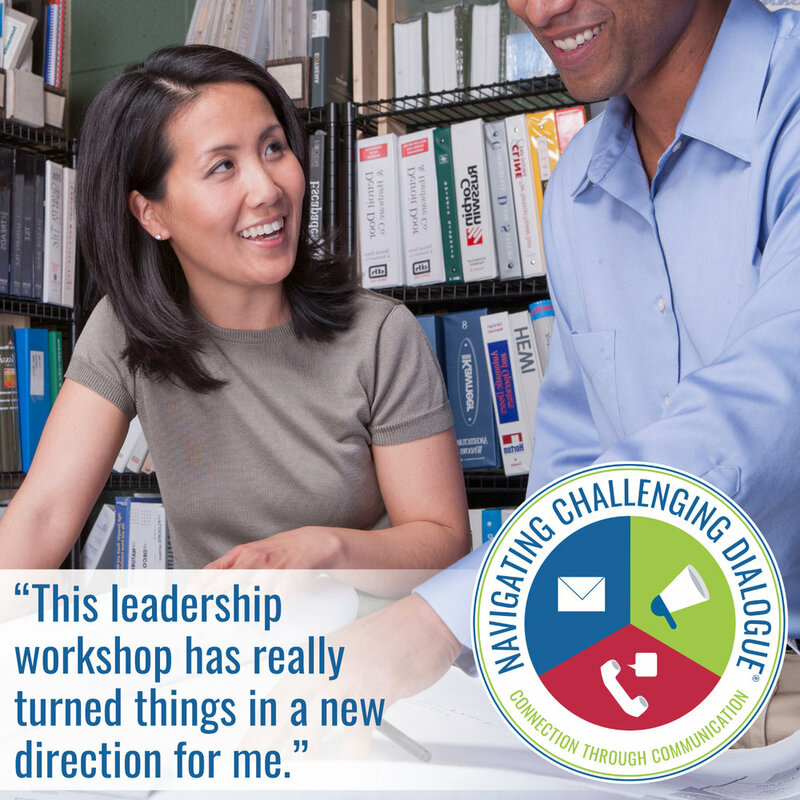 That's when a friend suggested I take Beth’s Navigating Challenging Dialogue® Leadership Certification Workshop. At the end of the second day of the workshop I realized that I was feeling hopeful. I was starting to see how this approach to leadership could actually shift the burden I had been carrying. Beth’s ability to connect with everyone in the room; to be fully present and to actually hear each person was incredible. Rather than just tell us how to fix our problems she used thought-provoking activities and simple yet powerful questions to help us identify the solutions that truly fit our unique situations. When we began learning how to mentor and use the tools ourselves, I was amazed how comfortable and natural they felt. The practice session really built my confidence. By the end of the third day I noticed that I was feeling excited to return to work and lead in a different way. As we were preparing to depart on the fourth day I was thankful to learn about the one year of monthly Mastermind sessions that are included in this program. I had developed connections and bonds with others in the group that I was hoping to maintain. We had learned these skills together and hearing others' perspectives was so valuable that I was glad for the opportunity for continued growth and collaboration. Truly, if it weren’t for Navigating Challenging Dialogue Leadership Certification I would still be spending time deciding whether to stay or go instead of leading in a way that empowers my team to be the best they can be. I’m so thankful. Click below to register for our upcoming workshop or email support@bethwonson.com to bring this training to your site.